Quick Little Projects | Quilting my way through life! It’s a beautiful sunny morning here! It makes it easy to get up & start to work when the sun is streaming through my sewing room windows. Did I mention that I’ll be vending at the Kansas City Festival for Quilters next week? If you’re in the vicinity you should come out & see us! Children 12 and under will receive free admission to the festival. Visit our Facebook page to get updates and announcements regarding the Festival. I noticed that I was running low on some of the Tiny Dresden Seasonal Series kits so this morning I’m finishing those up. Do you need a new little project??? These are some of my best-selling patterns right now! They’re each 6″ x 8″ & there’s one for every month. I also sell the adorable little wire hanger to display them on each month. The patterns that include the button(s) each month, the kits and the hangers along with the notions that I love to use to make them are all on my website. You can see them all here on my Tiny Dresden Series page. I hope you’re enjoying summer! 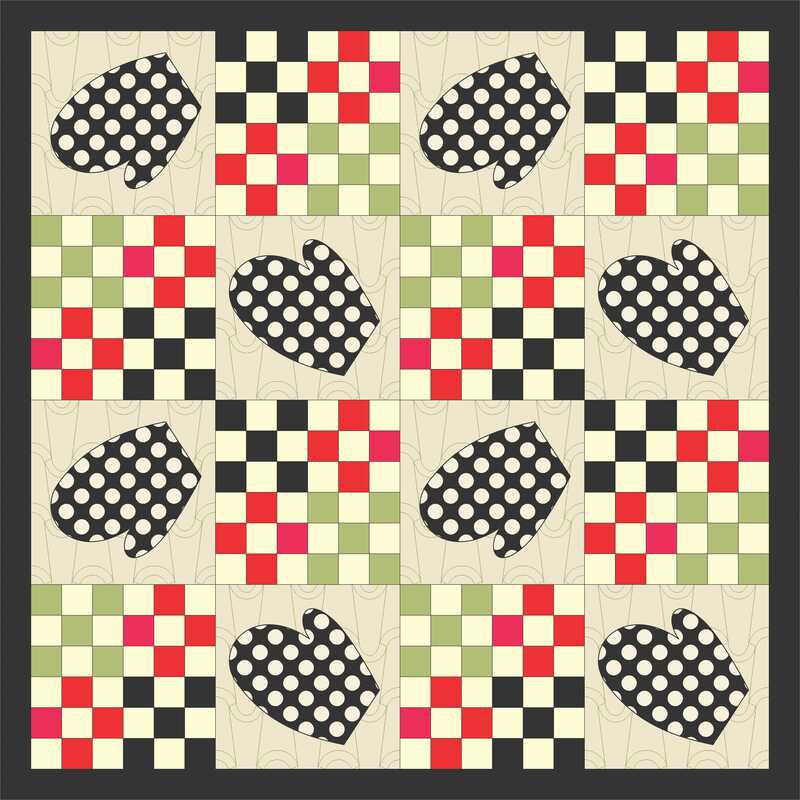 Quiltmaker’s 100 Blocks, Volume 8! 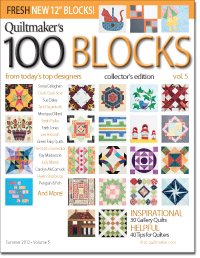 Quiltmaker’s awesome 100 Blocks issue! 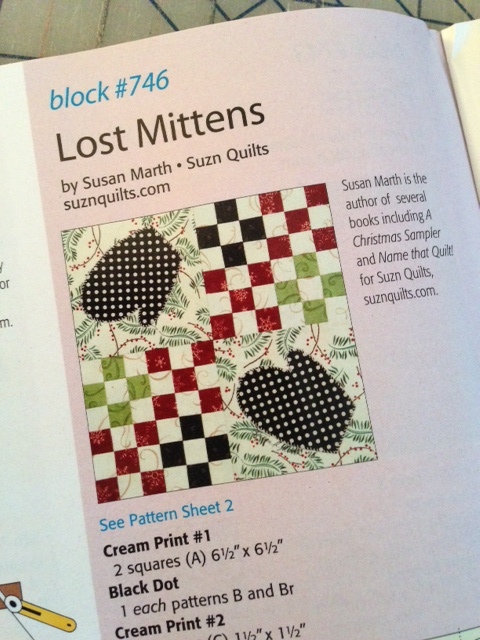 My block, Lost Mittens, can be found on page 46. I used various Christmas prints, plus a cute black/cream polka dot. This would make a great scrappy Christmas quilt, using up all of your Christmas scraps don’t you think? or by setting them a little differently, this 24″ x 24″ topper! Just an afternoon is all you need! Leave me a comment above….on today’s post and you will be entered to win a free copy of Volume 8!!! Don’t forget to include your email address! 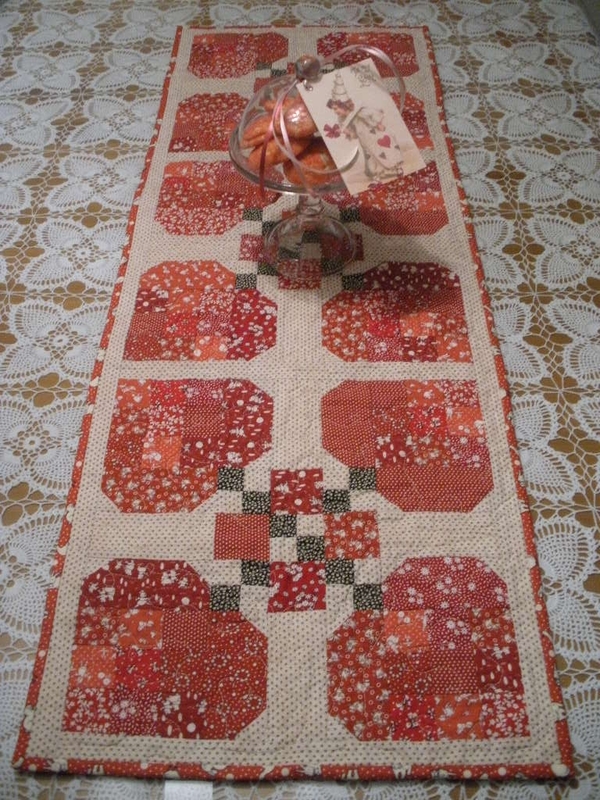 plus a kit to make the 4 block table runner or topper shown above! Leave your comment by November 13th, 12 p.m.
I’ll choose 2 winners for the free pattern & kit! Don’t forget to visit all the designers on the blog hop for lots more give-aways. I know, you don’t hear from me in 2 months, and now it’s 2 posts in 2 days! Well, I have 4 new patterns and a new book, so I plan to show you all of them here before I get too busy again. 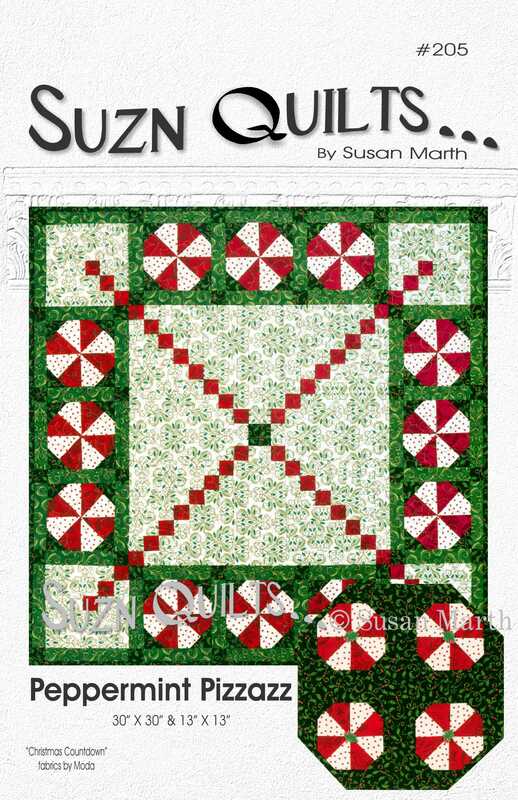 So, this is new pattern #2, Peppermint Pizzazz. It is also made with Deb Strain’s Christmas Countdown fabrics by Moda. I didn’t think to add that info in yesterday’s post, sorry. The fabrics should be shipping to your local quilt shop any day. It includes a 30″ square quilt & a 13″ octagonal quilt. The holly on the 4 peppermints are actually buttons by Just Another Button Company. They’re perfect for setting off the mints I think. Once all the pieces are cut it’s just fun sewing, like building a puzzle. These will look great on a table top, lining a Christmas basket or hanging on a wall & they’re small enough to make as gifts. to this post about my quilt-as-you-go lap quilt tutorial. check out the tutorial to get a better understanding of how quick & easy these really are. You truly can make one of these in a day! Thanks for all the wonderful comments about my block! For me, it’s not hard to come up with new designs when I have such beautiful fabrics to work with. I’m impressed with all the May Day memories comments. Cecilia, please send me your full name & address to receive your free issue. For those of you that didn’t win, hopefully you can find the new 100 Blocks issue at your favorite newsstand. If you have trouble finding it, you can always go to Quiltmaker’s site and buy it there. If you both want to let me know your choice and address, I will send you a free pattern. Thanks for joining in on the blog hop! 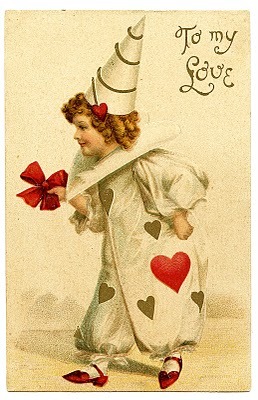 I hope you had a nice day with a bit of love included too! 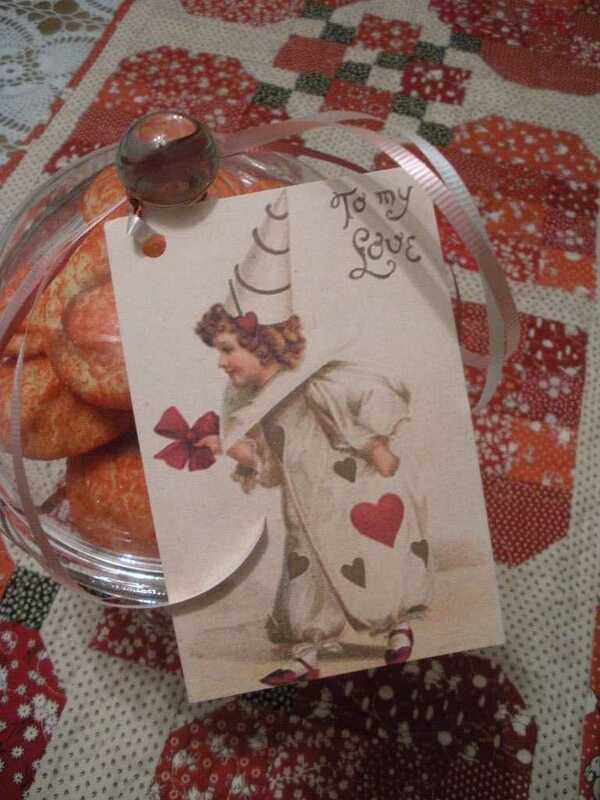 Along with the day-to-day business stuff I made cookies for my valentines. I love this recipe for two reasons; they taste great and you roll them into a ball then roll the ball in sugar, not the roll out and cut sugar cookie. Cream butter, oil and both sugars; add eggs & vanilla. Sift dry ingredients, stir in and blend. Chill dough for 1 hour. Roll a teaspoon of dough into a ball. Roll in decorative sugar. Bake at 375˚ for 12 minutes. Remove to cooling rack. Yields approx. 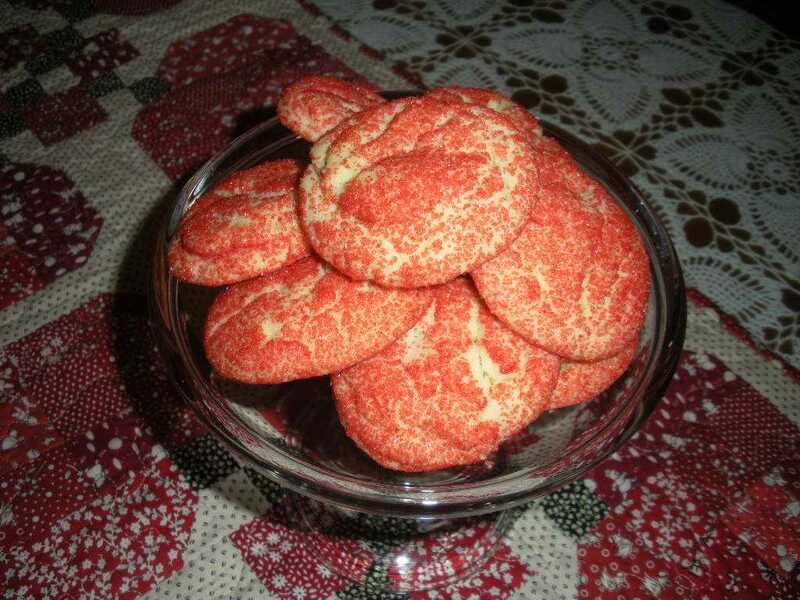 8 dozen cookies. I then quilted my “Heartfelt Table Runner” a mystery I designed for my guild, but soon to be a new pattern. I also made Valentines for my sweethearts from here. I just printed out 4 per page onto cardstock, punched a hole and added ribbon and a message then tied them to my gifts. Isn’t she adorable?